With the March 2012 opening of the Margaret Hunt Hill Bridge, Dallas added a landmark designed by internationally-known architect Santiago Calatrava. 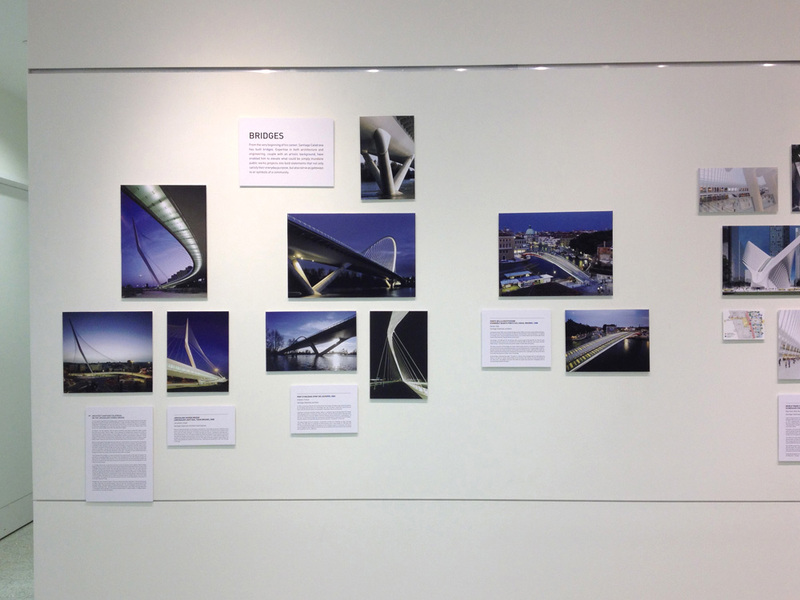 As part of the festivities surrounding the bridge’s opening, the Dallas Center for Architecture presented an exhibit examining Calatrava’s projects from around the world. As exhibition designer, Noah was responsible for the overall layout and organization stretching along the Center’s main gallery wall. 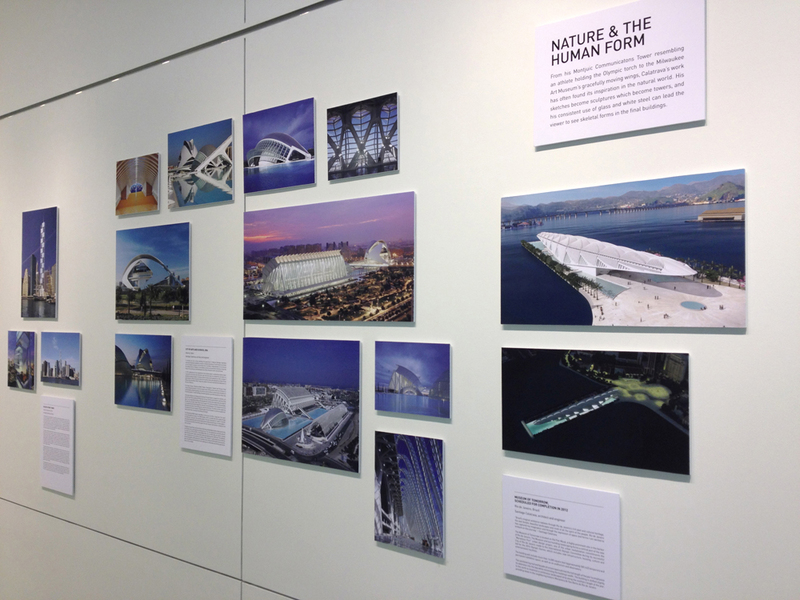 Photographs and plans of 13 projects were grouped into three categories — nature/human form, transportation and bridges — and organized organically in reference to Calatrava’s designs. 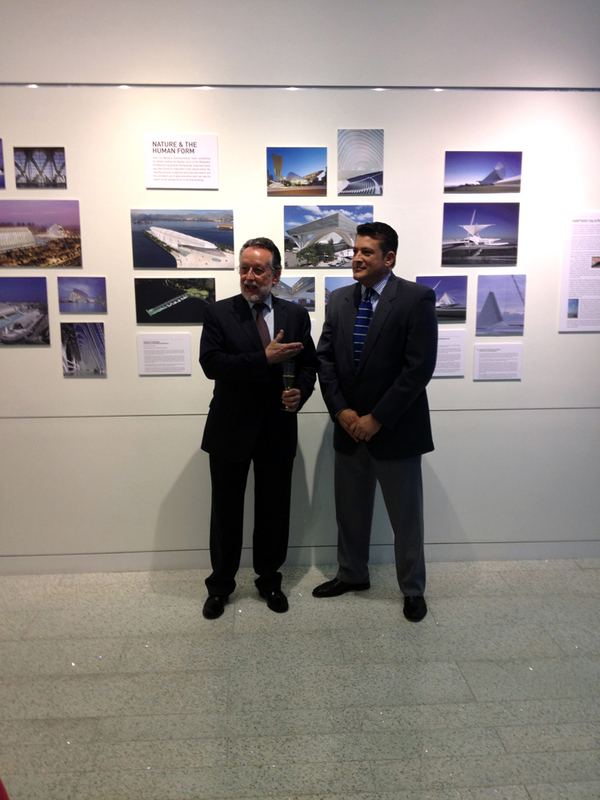 The exhibition was inaugurated by a delegation visiting from Valencia, Spain — Calatrava’s home town — and opening remarks were made by Mayor Pro Tem Alfonso Grau representing the City of Valencia. 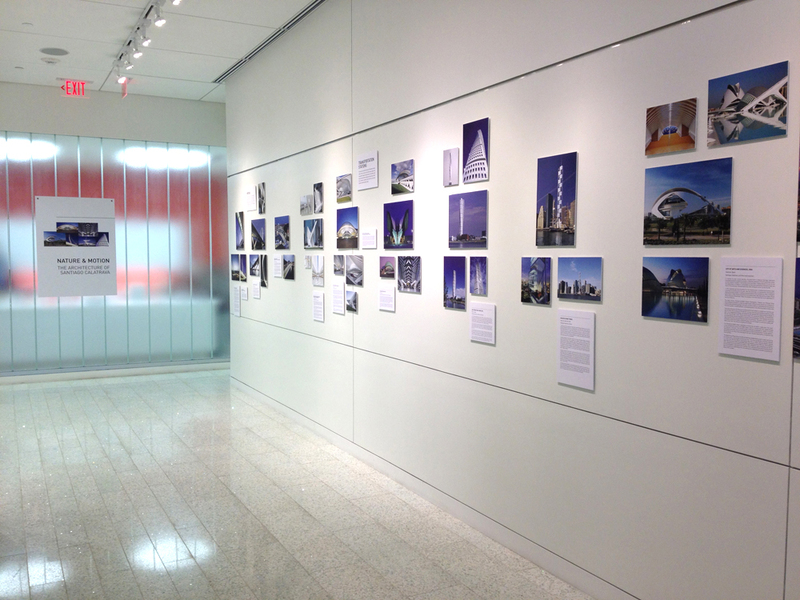 The exhibit remained on display from March 1 to June 1, 2012 and addition programming was developed around the exhibition.